This is not my first time to attend a tech seminar/event. In the pas,t I have attended tech seminars because of work. 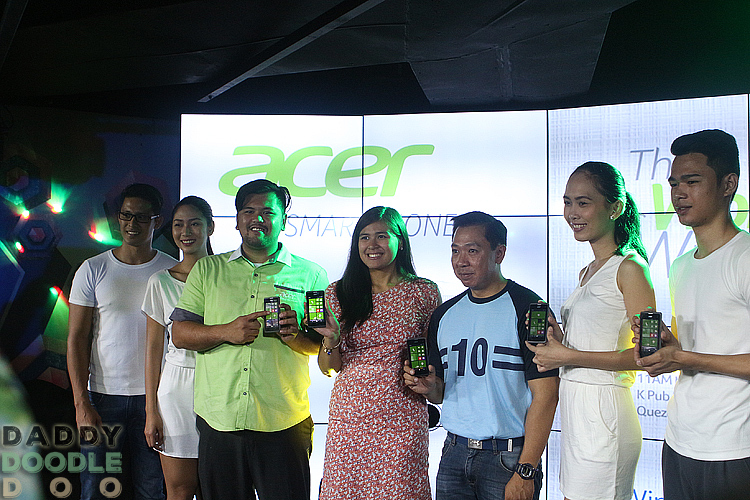 But I had to admit this event that I attended for Acer is pretty impressive. 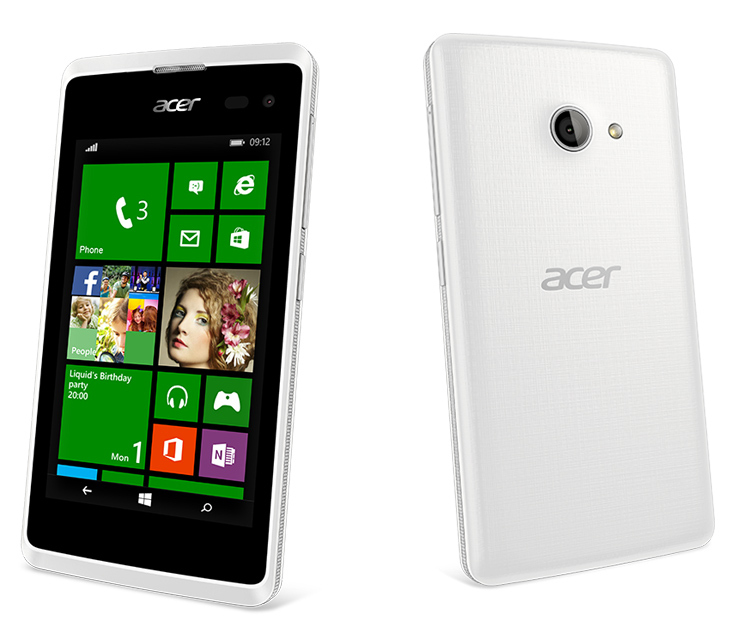 Acer is launching its first Windows base smart phone, the Acer Liquid M220. Running with the latest Windows 8.1 OS (upgradeable to Windows 10), the Acer Liquid M220 boasts of powerful specifications that can cater to either lifestyle or business users, ready for use in any occasion. The Acer Liquid M220 also evokes outstanding aesthetic qualities to complete this performance-packed smart phone’s superiority not just in terms of functionality but also with regard to overall look and feel. For our generation that loves to take pictures of everything Acer Liquid M220 is equip with a vivid 4-inch display and 233 pictures per inch (PPI) screen resolution, it perfectly matches the phone’s 5-Megapixel main camera (with autofocus and LED flash) to shoot the best pictures and videos whether for fun or professional use. For me this is where the Acer Liquid M220 stands out from its competitors, it has a secondary 2-Megapixel front camera fit for taking “selfie” or taking video calls with your friends and love ones from far away. I was impressed about the products use of technology and functionality while not overpricing it. With all of its features you will be surprised when you find out how much it cost. 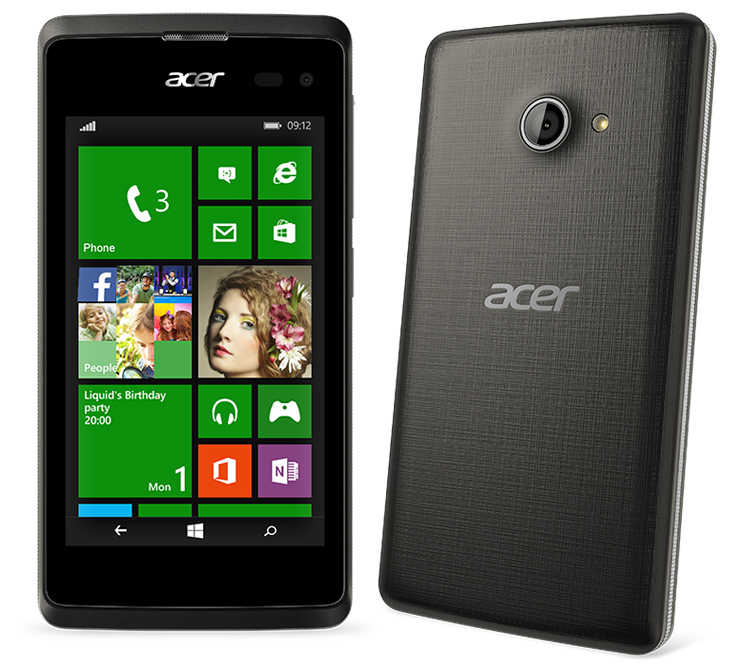 The Acer Liquid M220 comes in an affordable price range of PhP 2,490. 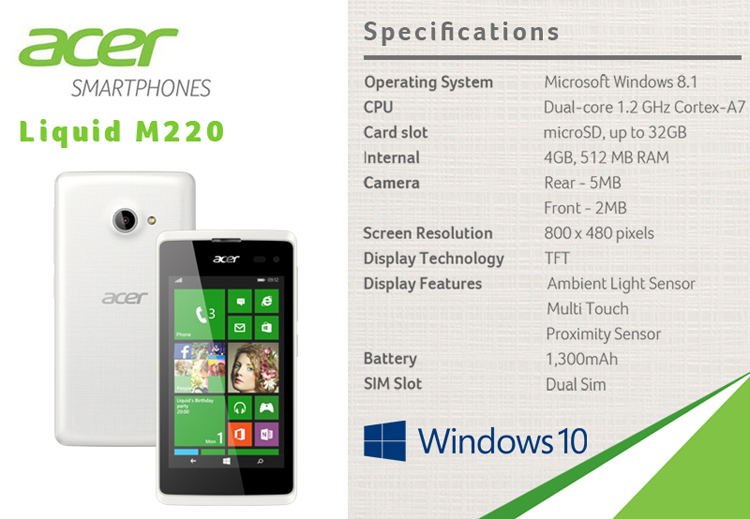 With its efficient features and design Acer Liquid M220 is at the top of the list of smart phones in this price range.